Located near Kew Gardens tube and overground station, Kew Studio is quiet yet well served by shops, restaurants, bars, and good transport links. We are in walking distance of both Kew Gardens and Richmond town centre. 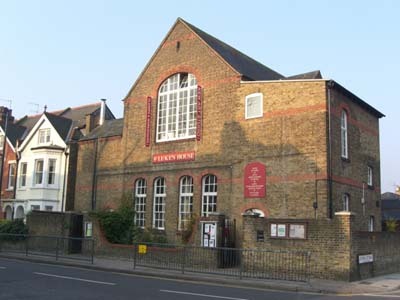 The Studio is on the top floor, with a nursery, a children’s charity, and a music room in other parts of this community building. By public transport: Bus No. 391 or Kew Gardens station for tube and overground. By car: We are a little off the A316. See the Google map below for full details. There are parking restrictions from 10-noon on weekdays. A few Pay and Display spaces are available or you can request parking permits from the Studio. For access, press the buzzer for Kew Studio – top floor.